Nothing to fear, people. Order has been restored. You can come out of your homes now. 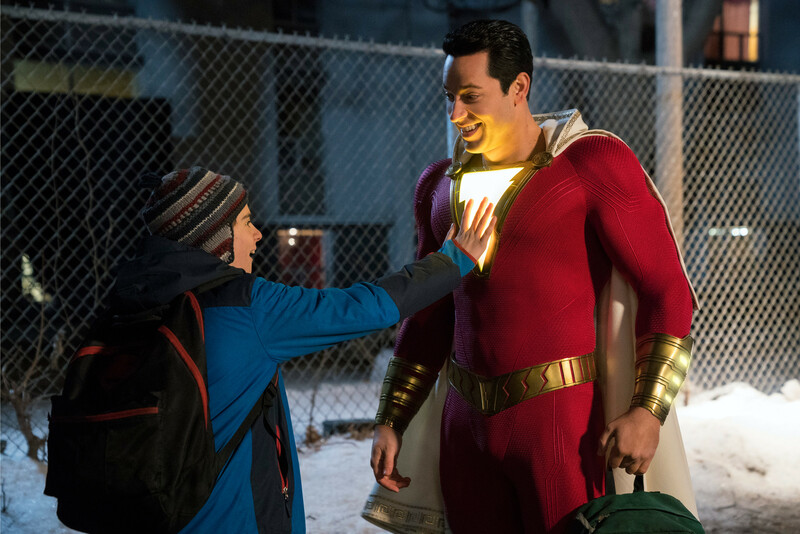 After a two week respite at the box office thanks to Us and Dumbo, a caped crusader is back in the catbird seat yet again thanks to Shazam!. I'm not sure how anyone survived. The first superhero film to top the charts in WEEKS is decidedly more upbeat than many of its compatriots, standing in stark contrast to the dark and brooding style that has consumed the genre since the release of Christopher Nolan's Batman Begins. The charming Zachary Levi, almost unrecognizable from his Chuck days, proves right at home in the skintight suit doling out one-liners. Tragically, there was no sign of Shaquille O'Neal's wish-granting genie character from the 90's classic Kazaam. Not even in a post-credits scene! A definite missed opportunity to form the -azaam Cinematic Universe. Also debuting in second is the supernatural horror Pet Sematary. The second attempt at adapting the 1983 Stephen King classic is off to a hot start, part of the continued resurgance of horror films at the box office. In fact, five of the top eight highest grossing R-rated horror films of all time have been released in the last two years. What's so scary about a consistent return on investment?? Coming next week is yet another superhero film, with the ambitious Hellboy hitting theaters. See you then!